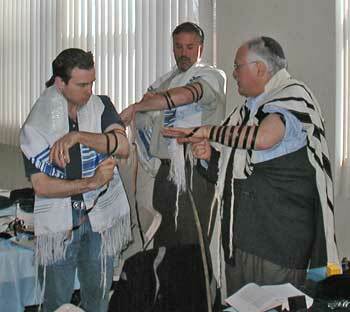 Participation in the Men's Club is a wonderful way to become an active member of the Temple community. 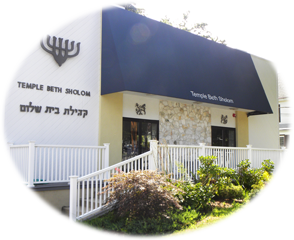 Be an usher at High Holiday services, help build the Temple Sukkah, participate in our Men's Club Shabbat, or feast and learn with the Rabbi at the Erev Pesach Seudah Mitzvah following the Siyyum B'chorim. On the lighter side, raise a mug or two at the Monday Night Football get-togethers and March Madness while meeting the Men's Club members and others from various temples in the Pascack Valley. You may also want to show off your poker skills at our Texas Hold'Em event, or grab a bagel and take to the lanes at our annual Super Bowl Sunday Bowling Extravaganza. If you are into team sports, join us as we travel to the Meadowlands or to another nearby arena or stadium for some major and minor league action. If cooking is your thing, put on an apron and join us in the kitchen at the Temple's Chanukah and Purim parties, Pasta Dinner, Family Picnic, or Annual Meeting. 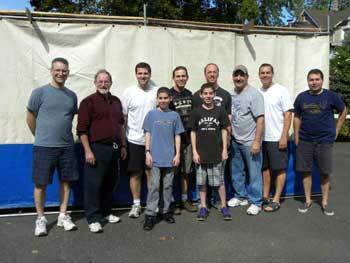 The Men's Club is a member of the Federation of Jewish Men's Clubs (FJMC), an organization of approximately 270 Conservative/Masorti Jewish men's groups consisting of 25,000 individuals across North America and the world. Individual members receive discounted prices on all FJMC books and materials, as well as the Torchlight, a semi-annual magazine that features essays and articles of general Jewish interest, and periodic editions of the e-Torchlight with timely articles. Please get involved with the Men's Club and be a part of the thrilling events that we are planning. What better way to get to know your fellow temple members!